Perhaps it came on gradually or you got sick and your system just never got better. All you know is that something seems to be terribly wrong with your digestive system. You have been to the doctor, taken a bunch of tests, and were told that you have IBS. Your doctor may have prescribed a medication, but all you know is that your life is still being turned upside down by your bowels. What do you do? 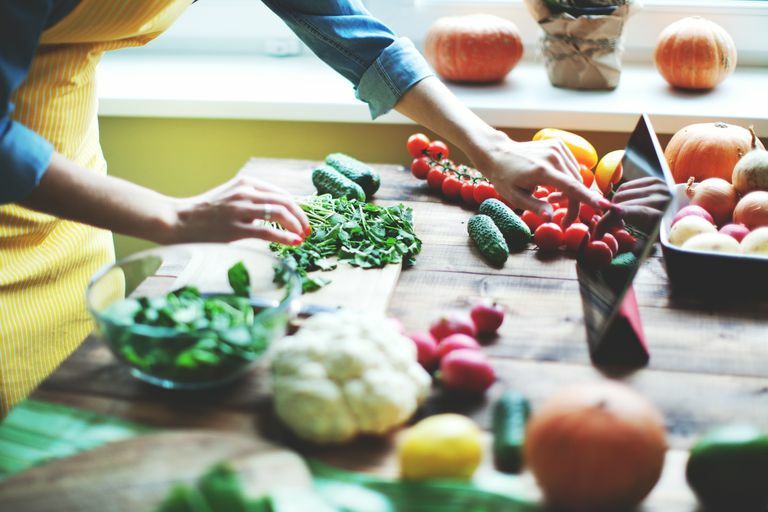 Here are some things to consider and learn about as you try to figure out a way to reduce the impact that IBS is having on your life. Hopefully, if you are reading this, you have had your IBS diagnosis confirmed by a physician. If not, please see your doctor to ensure that you are not suffering from a more serious health disorder. Having IBS means that you have an extra-sensitive gut. Therefore, the foods that your friends and family members can eat without consequence may no longer be okay for you. Be sure to educate yourself as to foods that have reputations for being particularly challenging for your digestive system. The low FODMAPs diet is the newest big thing in the world of IBS. This diet involves avoiding certain foods that have properties that result in digestive distress for certain individuals. Research on the effectiveness of the diet is underway, but early studies look promising. Educate yourself about the diet and run the idea past your doctor. If you think you might want to give it a try, find a nutritionist to guide you to ensure that you continue to take in adequate nutrition. If you feel that a certain food, or type of food, is problematic for you, take a scientific approach! You know your body best, but sometimes other factors—such as stress or hormones—may be causing your system to act up rather than the last meal you ate. One way to positively identify a food sensitivity is through the use of an elimination diet. Using this approach, you will not be unnecessarily restricting any specific foods from your overall diet. There is some emerging research showing that, for a certain subset of IBS patients, a gluten sensitivity exists even in patients who do not suffer from celiac disease. This is an area in which an elimination diet would be quite helpful. If bran proves to be problematic, stay away from it. However, fiber is good for both constipation predominant irritable bowel syndrome (IBS-C) and diarrhea predominant IBS (IBS-D). It helps to keep a stool soft (good for constipation) and to firm up stool (good for diarrhea). But note that "fiber" and "bran" are not inter-changeable—bran is just one form of fiber and, for some, it can be irritating to the digestive system. The increased awareness and availability of probiotic supplements are some of the greatest things to happen for IBS patients. These "helpful" bacteria do seem to help improve the bacterial balance within the digestive system. For most people, there appears to be no downside in terms of unwanted side effects. As with any over-the-counter supplement, get clearance from your doctor first. If you were to speak with anyone who has had IBS for years and has learned how to keep symptoms to a minimum, they will tell you that it took a lot of trial and error to find out what works and what doesn't work. One consistent theme will be to do whatever it takes to reduce the stress in your life. Although stress doesn't cause IBS, the close connection between your brain and your gut results in symptoms being exacerbated by anxiety and stress. Although we're often faced with stressors in our lives that are chronic or beyond our control, there are things that we can do to actively counteract the effects of those stressors on our health and, in the case of IBS, on the way our colons are behaving. If your predominant bowel symptom is diarrhea, you are most likely struggling with the disruptiveness of multiple trips to the bathroom and the fear that urgency will lead to a bathroom accident. You may find it reassuring to learn that there are things that you can do to slow things down so that you can go back to living your life with confidence. If you deal with the frustration of chronic constipation, you've probably already been told about the importance of increasing fiber. One fiber source that has some research support in easing constipation is flaxseed. These pretty little golden seeds can be ground up and sprinkled onto food or added to smoothies. Best of all, the flavor is quite pleasant! Another thing to consider when learning to deal with the symptoms of IBS-C is to take a look at your bowel habits. Learn about the steps involved in bowel re-training to make sure that you are doing all that you can to help your body return to a state of regularity. IBS-A presents its own unique set of challenges. It can be maddening to deal with bowels that never seem to get it right. Sometimes the whole system seems like it has turned itself off, while at other times bowel movements seem to come with a vengeance. It can be hard to know what suggestions to follow for fear that addressing one problem will lead to the other. American College of Gastroenterology IBS Task Force "An Evidence-Based Position Statement on the Management of Irritable Bowel Syndrome" American Journal of Gastroenterology 2009:S1-S35. McKenzie, Y.A., et.al. "British Dietetic Association evidence-based guidelines for the dietary management of irritable bowel syndrome in adults" Journal of Human Nutrition and Dietetics 2012 25:20-274.